Effects from climate change, urbanisation and a growing middle-class exert pressure on water, transportation and energy supplies in Pakistan’s cities. Meanwhile, Sweden is a world leader in innovation, start-ups and sustainable business, with green technologies that form the building blocks of a smart city. So, how can sustainable Swedish solutions help Pakistan meet its urban challenges? 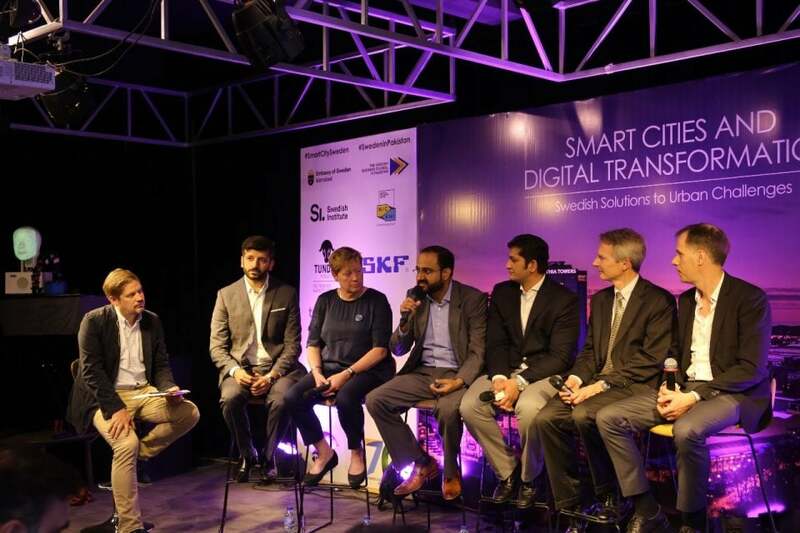 These issues were in focus at the business event “Smart Cities & Digital Transformation” at the National Incubation Center in Karachi, Friday April 5th. 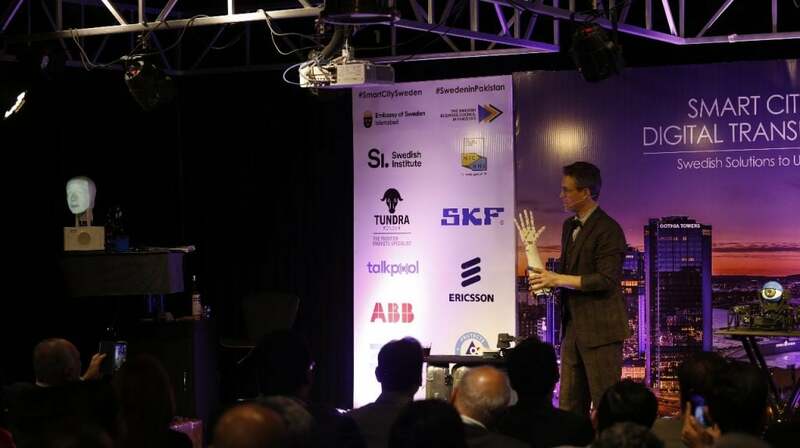 The Swedish illusionist Charlie Caper opened the event with a futuristic show on robotic technology, setting the tone for the following discussions on innovation for a sustainable future. Swedish companies and business entrepreneurs presented their solutions to areas such as water and waste management, clean air and energy, and IoT and connectivity. 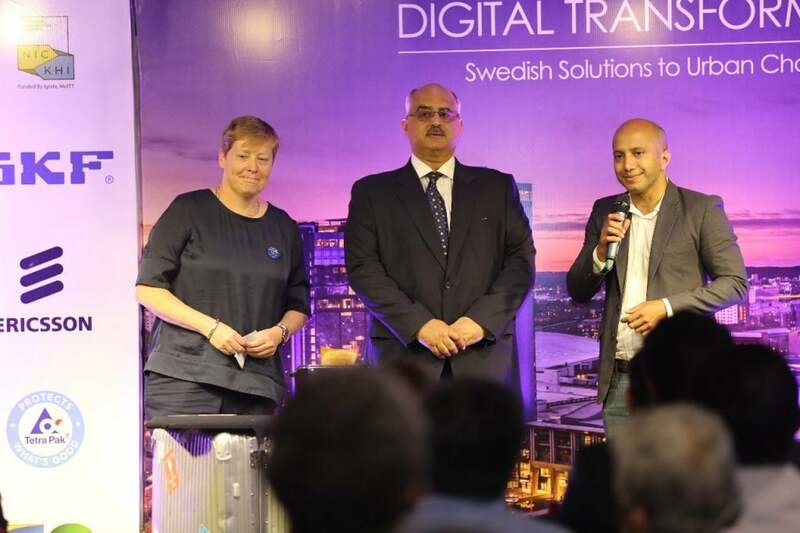 Business Sweden, the Swedish Trade and Invest Council, presented the “Smart City Sweden” platform – a gateway to Swedish companies working in all areas of urban development. The Swedish Foundation for International Cooperation in Research and Higher Education (STINT) shared their perspective on academia’s internationalisation and key role in innovation. Ingrid Johansson, Ambassador of Sweden in Pakistan. Stakeholders from the Pakistani business sector, including representatives from the Pakistan’s Stock Exchange, the Prime Minister’s Council of Business Leaders and Secretary, Sindh Investment Department discussed key areas for Swedish solutions in Pakistan and how ease of doing business could promote such investments. 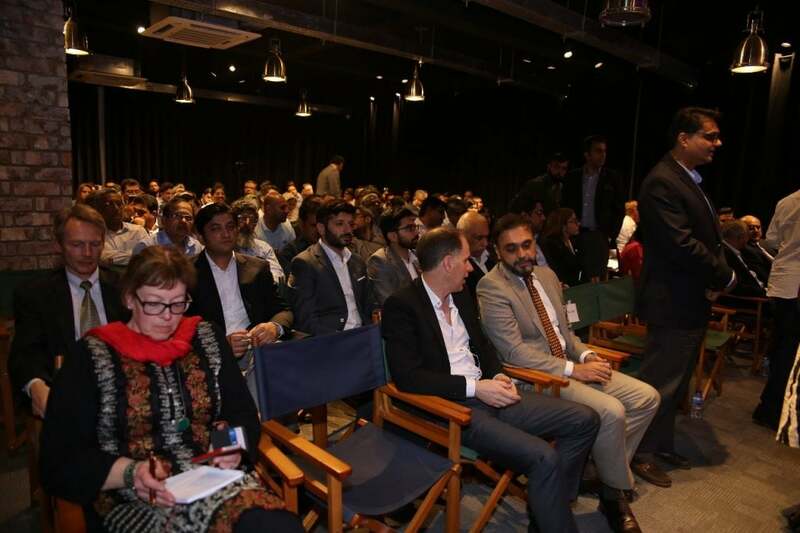 The event was co-organised by the Embassy of Sweden, the Swedish Institute, the Swedish Business Council in Pakistan, National Incubation Center Karachi and the following Swedish companies: ABB, AICT, Atlas Copco, Ericsson, SKF, Tetra Pak, TalkPool and Tundra Fonder.